News and views on immigration and community building especially in the Hudson Valley of New York. For residents of the Hudson Valley area needing the U.S. Citizenship and immigration services meant having to travel all the way to New York City or Albany. This will no longer have to be the case. The Newburgh Armory Unity Center is pleased to announce the opening of a brand new USCIS Office in our area, which is the only one between New York City and Albany. This new USCIS Office will provide its services to the local immigrant community of the Mid-Hudson region. Because the only two closest USCIS Offices were located in New York City and Albany, in the past people in need of USCIS would spend a lot of time and money to travel to either one of this two offices. Obtaining the services provided by USCIS is costly and the new office in Newburgh would reduce the cost of loss wages and traveling expenses. The local immigrant community will no longer have to make to spend hundreds of dollars on repeated trips to New York City. The new USCIS office will be accessible to New York residents of Dutchess, Ulster, and Orange, Sullivan, Putnam and Rockland counties. Getting fingerprinted is a major step in becoming a U.S. citizen. Fingerprinting services will be provided starting Friday, August 29th. Since being enacted in 2012 by President Obama, DACA has allowed nearly 600,000 DREAMers who met various conditions to get temporary work permits and two-year deportation relief. Those who applied and qualified in 2012 have been able to get work permits and driver's licenses. But it has been two years already and those who qualified for DACA must renew their applications. DACA must be renewed every two years. When it comes to immigration issues nothing is ever too simple and of course you can't just simply renew after two years, there is a specific time frame that those who need to renew must follow. 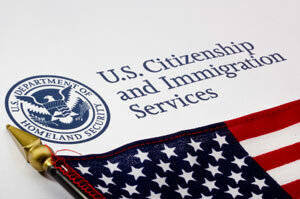 Individuals must file renewal requests 120-150 days before their current period of deferred action expires. DACA must be renewed every two years; it is not a permanent program. The renewal process begins by filing the new version of Form I-821D “Consideration of Deferred Action for Childhood Arrivals,” Form I-765 “Application for Employment Authorization,” and the I-765 Worksheet. There is a filing and biometrics (fingerprints and photo) fee associated with Form I-765 totaling $465. As with an initial request, U.S. Citizenship and Immigration Services will conduct a background check when processing DACA renewals. · Have not been convicted of a felony, a significant misdemeanor or three or more misdemeanors, and do not otherwise pose a threat to national security or public safety. And because not everyone applied and qualified for DACA at the same time, not everyone applies for a renewal at the same time. The time to request a renewal is different for each individual. For the first people that qualified for DACA two years ago it is time for them to renew now, but 2012 was not the only year you could apply for DACA. Individuals who have yet to benefit from DACA and who qualify can apply for the first time at any moment. If the request for DACA is approved the individual will benefit from a two-year deportation relief and work authorization program. The Hudson Valley Community Coalition is running the HVCC Mobile Immigration Legal Clinic in Ossining, N.Y. at St. Ann's Church, every Wednesday from 5pm to 7pm. Sister Kelly Carpenter will be there to help with DACA renewals or first time applications. The attorney services are free but the person applying for a DACA renewal must be ready to pay the USCIS filing fees (which can total $465). The Mobile Immigration Clinic also runs in Middletown, NY at Literacy Orange on the second Saturday of each month, in Peekskill at Hudson River Health Care's Main Street office, on August 14 from 5:00 - 7:00 pm, and in Yonkers at the VIVE School by appointment on Wednesdays from 9 am to 3 pm. HVCC's blog writers are Kevin Tejada, Paul Yumbla and Betsy Palmieri. You can reach us via email at info@hvccoalition.org.